Address: 1131 Dee Kennedy Rd. Bring all offers, Owners downsizing from this awesome custom built 7 year young, 4 Br. 4.5 Ba. 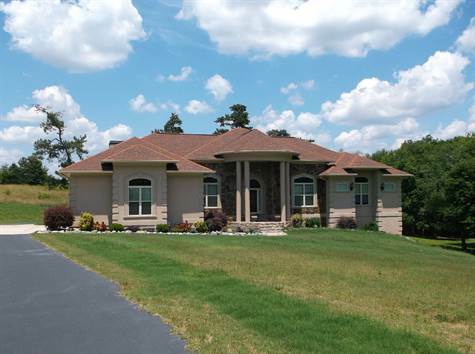 W/ full unfinished basement on 3.5 Acres W/ a creek on the side. Granite counter tops, Stainless Steel appliances, Hardwood Floors thru-out, Master Bath with huge Sep. Shower, Huge Jetted Tub, Mirror double vanity, Ms. Br. has His/Her closet, sitting area or work station with a sink, double side fire place. Huge Screened Porch insulated from Bugs & has a view of the Serine nature in the back. Zoned HVAC & Double water heater one tank less. Bring your horses & enjoy your Life.